Do you need help selecting your courses or preparing to transfer to another institution? 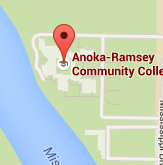 Anoka-Ramsey Advisors are available to help you understand your degree requirements, develop an academic plan to stay focused on meeting your educational goals. Advice to Students: "Knowing and utilizing campus resources will be key to your success at Anoka-Ramsey Community College. Please set aside time to locate these resources during your first semester." Favorite Quote: "Asking for help is not a sign of weakness, but a sign of strength." 30-minute appointments with Academic Advisors are available in-person or by phone. To schedule an appointment call 763-433-1230 or stop by the Information Desk at either campus. Please do not use email to try and make an appointment. Please bring your StarID and password and check-in at least 15 minutes before your scheduled appointment. Convenient walk-in advising is available for quick questions (5 minutes or less) during specified hours. Students check-in at the Information Desk and are seen on a first-come, first-served basis. The length of wait time will vary. Students may be asked to schedule an appointment for more detailed planning with an Academic Advisor. Please bring your StarID and password and check-in at least 15 minutes before scheduled end times. Please note that Quick Stop Advising times at both campuses are subject to change due to various advising events. Refer below for availability and closures if you are planning on coming to campus for the sole purpose of seeing an Academic Advisor for Quick Stop Advising. The DARS interactive audit will show your completed coursework with Anoka-Ramsey and transfer credits that have been officially evaluated by the Records Office. 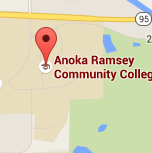 Many students come to Anoka-Ramsey with the intention of completing their general education coursework and transferring to a four-year college or university. What is important for students to consider is what general education courses they should be completing at Anoka-Ramsey to complement their planned major. Academic Advisors are available to meet with students to help ensure they are taking appropriate coursework for their planned major and transfer institution. Students should start this process as soon as possible and schedule an appointment to meet with their Academic Advisor.